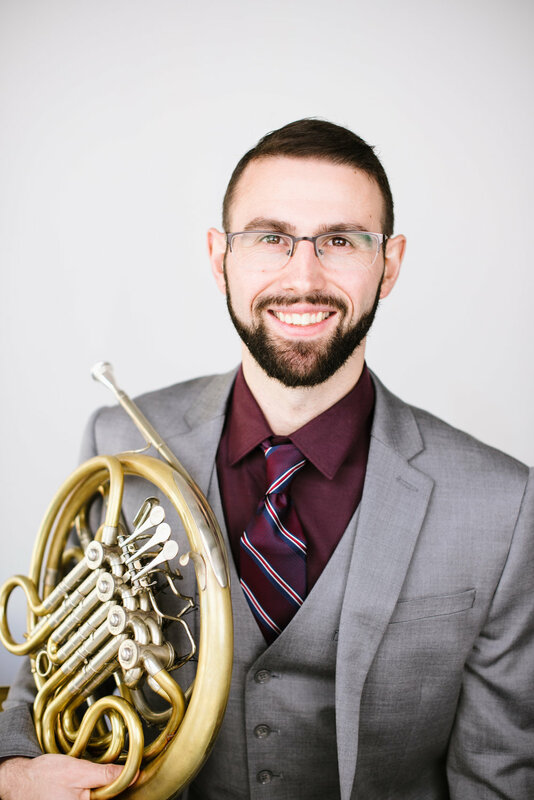 Hornist for the Volante Winds Quintet and a Doctoral Candidate at the Jacobs School of Music at Indiana University, Olivier Huebscher values versatility, both a performer and pedagogue. In addition to his work with Volante Winds, he was recently featured at the Festival Internacional de Música Clásica in Vilagarcia, Spain. As a recording artist, Olivier has participated in a wide range of projects from Mahler symphonies to a CD of rock music for orchestra, which has generated over 1,000,000 views on YouTube and reviews in The A.V. Club, Nerdist and New York Daily News. Olivier is a proud member of Indiana University’s Nairobi based Tunaweza Kimuziki project which works to increase the quality of music education in Kenya. Olivier embraces the use of technology in teaching, with an my online based private studio which includes students based in Kenya, California, Texas, New York and other states. As a scholar Olivier has had multiple articles published in The Horn Call on how music theory to enhance their performances. In his free time Olivier enjoys a wide range of activities including cycling, cooking and obscure cultural references.